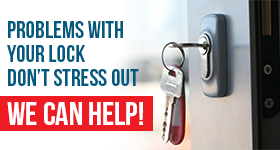 Our emergency locksmith service includes help during lockouts. There is nothing pleasant with searching and not finding the house keys. It’s really annoying locking the car keys inside the trunk. Sometimes, such issues can endanger one’s safety. When you can’t open the car door or the house key breaks inside the deadbolt, call us at Locksmith Delta, BC. 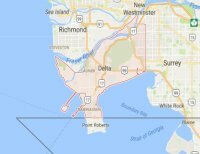 We respond quickly and offer 24 hour lockout service in Delta. All pros on our team are reliable, trained, and qualified. We open the locked car door but can also replace the lost transponder key. Our technicians in Delta, British Columbia, can help you when your apartment door refuses to open or the office broken lock denies you access. Call our Surrey team for car lockout service 24/7. Is the key accidentally locked inside the car or trunk? We can open either of them. Do you need transponder key reprogramming? Rest assured that our car locksmith is traveling with the most sophisticated equipment on the market. Whether we have to program and replace advanced car keys or deal with a digital lock problem, we can take care of the issue and let you in. That’s why you can trust our services for any problem with your commercial locks too. If you experience an office lockout, we can help. Are your office, house, car or apartment keys broken? What we do before replacing them is extract them. The service is done with absolute care so that you won’t have to worry about lock damage. Whatever it takes to help during a car, office or house lockout, we do. Our experts open trunks and doors, unlock a jammed door, repair the damaged cylinder, replace and extract keys, cut new keys and as an overall offer 24 hour lockout services. Lockouts, ranging from a car to an apartment lockout, won’t only cause temporary inconvenience but also security problems. There is a reason for your lockout and our goal is to take care of it whether we have to replace keys or repair locks. The job is always done with respect and discretion and performed by trustworthy professionals. For fast Delta lockout service, call our team 24/7.